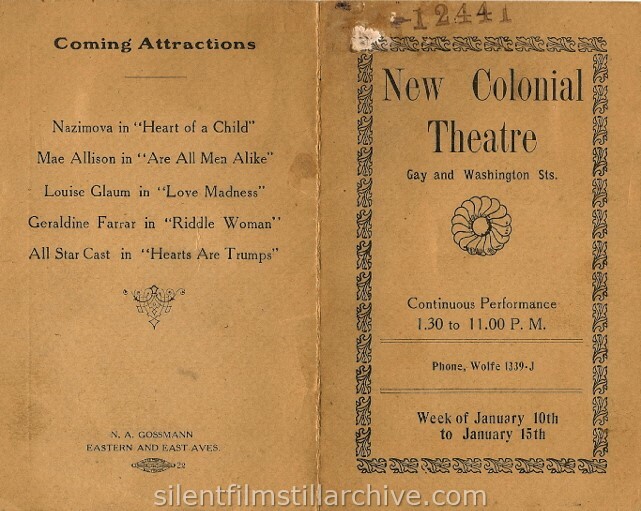 Nazimova in "Heart of a Child"
Mae Allison in "Are All Men Alike"
Louise Glaum in "Love Madness"
Geraldine Farrar in "Riddle Woman"
All Star Cast in "Hearts are Trumps"
"A Man and His Woman"
A true drama of life. 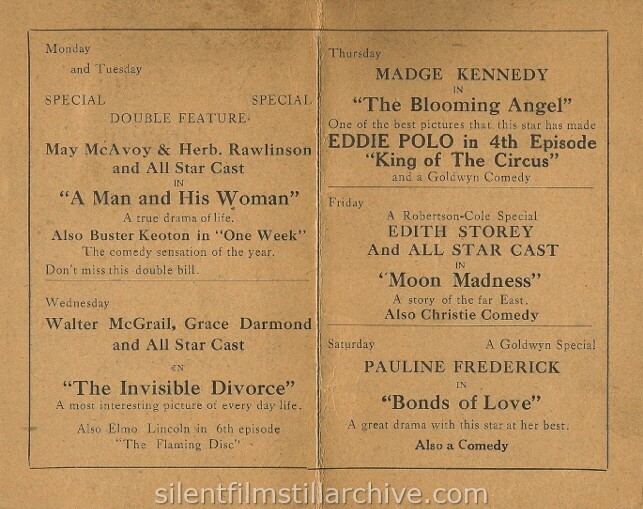 Also Buster Keoton (sic, Keaton) in "One Week"
The comedy sensation of the year. Don't miss this double bill. A most interesting picture of every day life. A great drama with this star at her best.